Forgot the admin password of your Windows XP computer? How to hack Windows XP password without losing your files? There are plenty of password hacking tools available on the net - commercial as well as free. 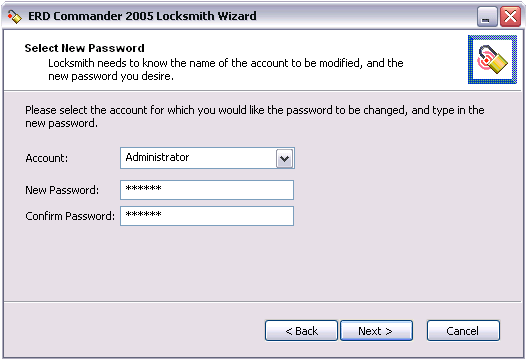 Here is another way to hack or break the lost administrator password in your Windows XP installation. ERD Commander is part of the Microsoft Diagnostics and Recovery Toolset (DaRT), which can help you quickly troubleshoot and repair computer that will not boot. Locksmith is one of the useful utilities inside ERD Commander bootable CD, which allows you to hack Windows XP login password easily. To begin to hack Windows XP password, you need to get a registered copy of the Microsoft Diagnostics and Recovery Toolset (DaRT). Install DaRT on an alternative computer, and then launch the ERD Commander Boot Media Wizard from your Start menu to create a ERD Commander boot CD. 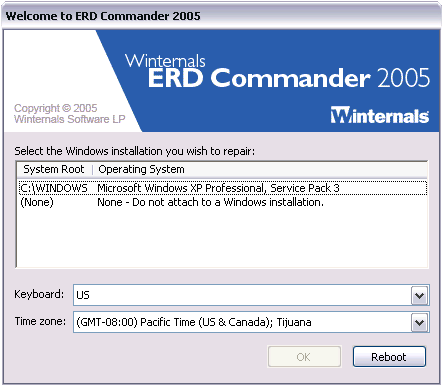 Insert the ERD Commander boot CD into the drive of your Windows XP computer which you want to hack into. Boot the computer using ERD Commander boot CD. You may have to set the boot order in the BIOS first. 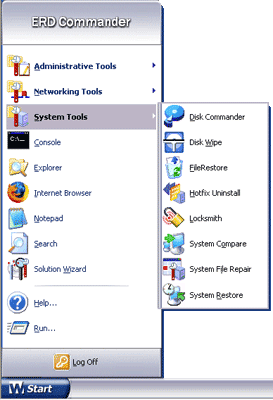 Select your Windows XP installation from the list, and click OK.
After logging into the system inside the boot CD, click on Start menu, then select System Tools and click Locksmith. It will bring up the Locksmith Wizard. Click on Next. Select the user account from the drop-down list, type your new password and confirm it. Click on Next. 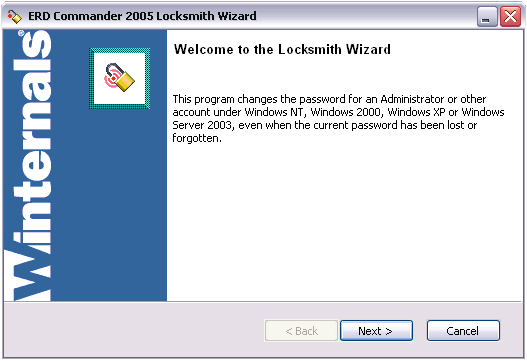 Locksmith will hack your Windows XP password and replace the current password with your new one. Reboot the computer and you can then log on Windows XP using your new password. Unfortunately, DaRT is not free. What’s even worse is that not everyone can buy it. It is part of the Microsoft Desktop Optimization Pack (MDOP), which is only available for volume-licensed customers (and for Technet/MSDN subscribers). Locksmith also doesn't work on domain controllers. If you forgot the password of local admin or domain user account, I recommend you to get the PCUnlocker utility for only $24.95!